And wants you to know she texts Lorde and Ariana Grande. 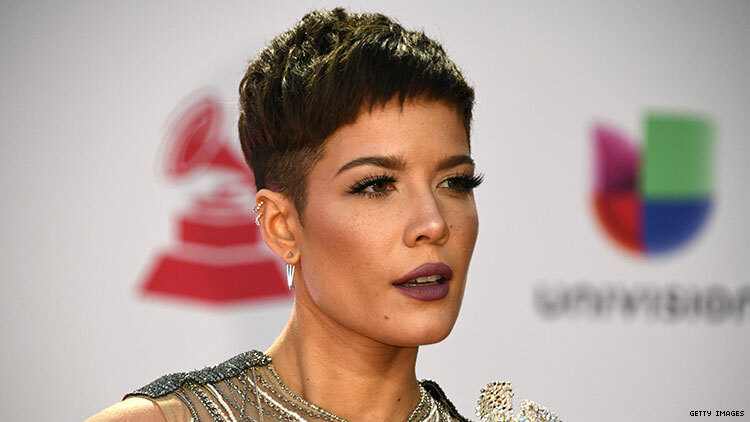 Halsey has a message for all the look-alike, sound-alike male singers whose names I don’t know: you’re boring! Fresh off her song “Without Me” reaching #1 on the Billboard Hot 100, Halsey is the cover star of February’s Glamour and in the accompanying cover story, she made her feelings known about the difference between female and male artists currently rocking the music industry. Just this past week, Grande knocked Halsey out of the #1 spot with her song “7 Rings,” and Halsey addressed the fact that several media outlets often write about female artists as if they are in competition — and she doesn’t really care for it. Halsey used shade and it was super effective! Take that, Post Maloney or Logic Mars or whoever she’s talking about!!! Halsey added that, not only do men not deal with the same types of headlines, the media narrative is very far from the truth. Several of these artists are in contact with each other and rally by each other’s side. It’s nice to know that today’s pop girls are not buying into the stan culture that’s permeated Twitter. But, it’s even better to know that Halsey is not above name dropping who is in her iMessages.